WE MAKE EXCEPTIONALLY FUNCTIONAL CUSTOM AG SOFTWARE and websites. IF YOU CAN DREAM IT, WE CAN BUILD IT! For customers involved in agriculture, we provide custom web based agriculture software solutions to help them solve the problems of their industry using modern technology. Our services focus on well-designed user interfaces, to make it easy and fast for users to operate. The tools and systems we build are cloud based, giving our clients access to their data from anywhere at anytime. We have enabled our clients to replace paper records with custom web based and mobile solutions, making it far easier to work with and analyze their data. Geographic Information System (GIS) Development is a hot topic in the world of agriculture, and for good reason – it is revolutionizing the way we think about agriculture as a whole. That is why we have spent a good chunk of our time working with other agriculture companies to solve old problems with new technology. For more information, visit our Geospatial / GIS Development page. When it comes to creating a website for the agriculture industry, it is important to build with the target end user in mind. This means building the website so that it is easy to use and understand by the intended audience. For example, a precision agriculture website that wants to target individual farms, is very different than the precision agriculture website that wants to target larger corporate farms. This is why we take a client first approach with everything we build, so you can rest assured that the website we design for you will both impress your customers, and be easy for them to use. Not only that, but we are always sure to put forth the image of your company that you want, meaning you will always look like the professional agriculture based company that you are. 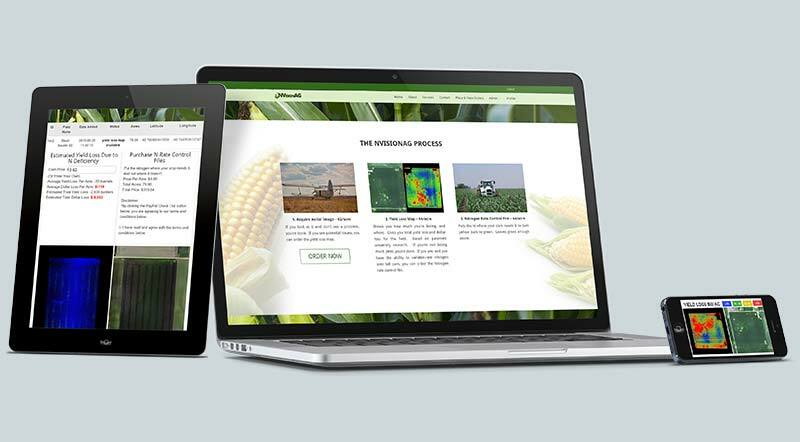 INTERESTED IN CUSTOM AGRICULTURE SOFTWARE SOLUTIONS OR WEB DESIGN? The NVisionAg software provides an image analysis solution that assists the agriculture industry in making fertilization decisions. This tool analyzes aerial images of crops to identify nitrogen loss so that it can offer fertilization strategies to increase crop yield. 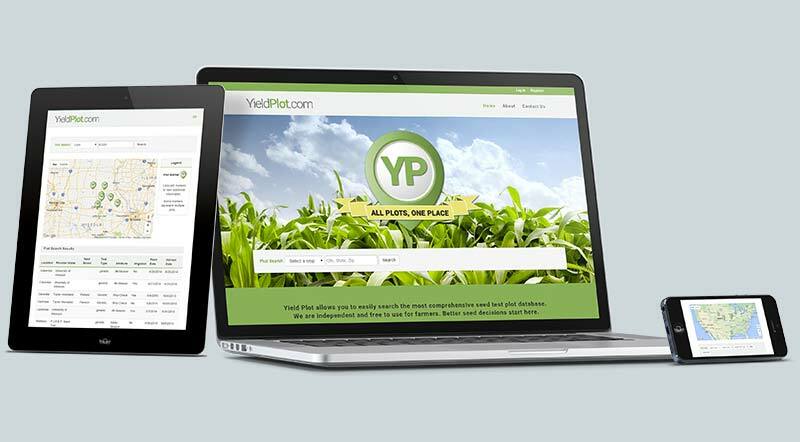 The YieldPlot tool uses geospatial data to assist agricultural land owners in the seed buying process, by providing them with statistics on seed performances in their area. INTERESTED IN CUSTOM AGRICULTURE SOFTWARE SOLUTIONS?